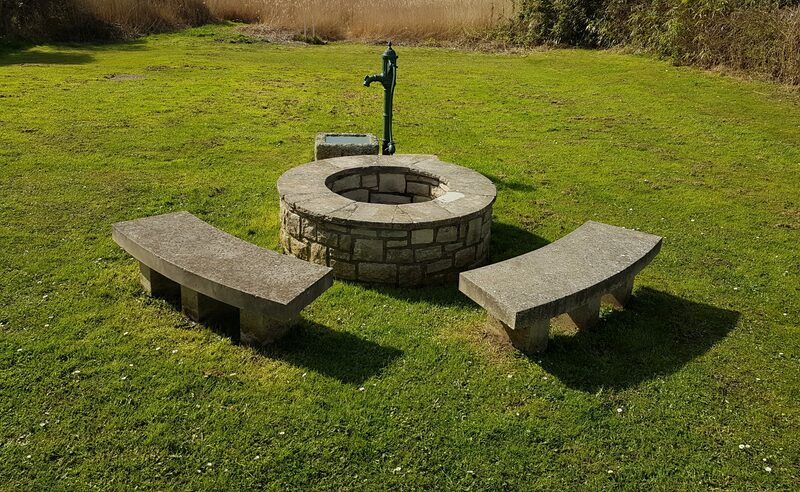 The Friends of Tutton’s Well group was set up in the 1990’s when it was feared that the rebuilding of the nearby Guides’ hut would destroy the well which had been used as a source of pure water since the bronze age. However further archaeological investigations near the hut and in the centre of the plot suggested that the greatest flow of water was from the latter, with over 5,000 gallons an hour, so it was decided to reconstruct it there. 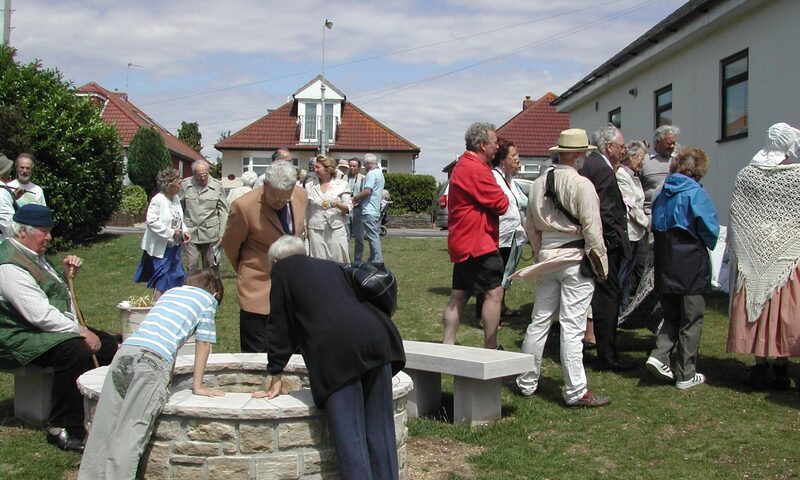 Stockbroker Tom Tutton, who despite his name has no known family links to Christchurch, funded the creation of the stone features, with the rest of the work being carried out by volunteers. The reopening ceremony was performed by Mr Tutton and the Mayor of Christchurch, Coun. Sue Spittle, with around 50 supporters attending. Master of ceremonies was Coun. Kevin Dingley, the chairman of the Friends, and refreshments were provided by the Avonmouth Hotel. Local graphic designer Colin Bolger designed labels for commemorative bottles of water for which people gave donations. It is hoped that, after testing, the Council will be able to exploit the water supply to sell as bottled mineral water. To mark the historic occasion, members of the Friends committee dressed up variously as a monk, a well wench, a water hawker, a leper, a fisherman, a smuggler and Sir William Rose, who donated the site as a public water supply in 1885. The Friends are now hoping to restore the former fishermen’s dock on the nearby edge of the harbour. May this inscription long preserve its fame!